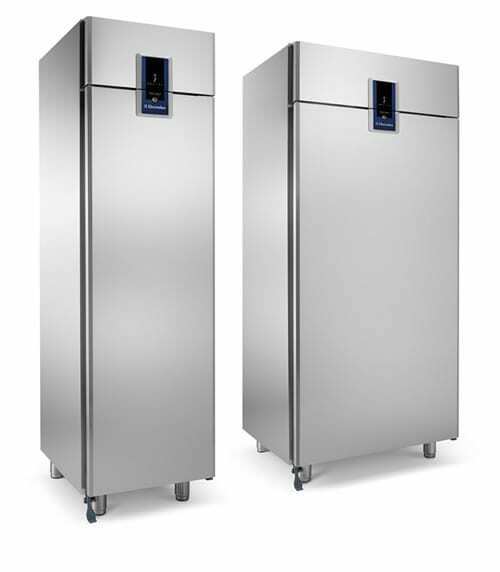 Professional refrigerated cabinets are the only appliances that run 24 hours a day 365 days a year. 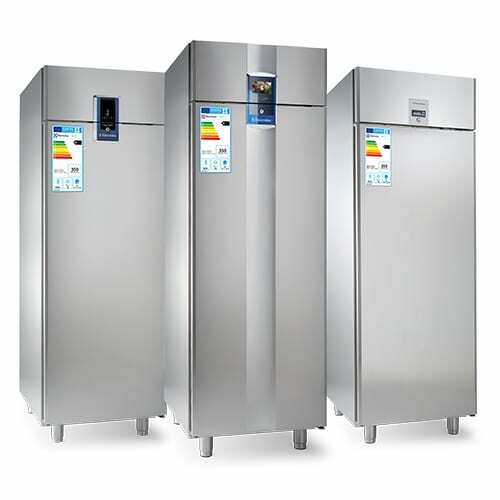 For this reason it is important to assess the qualities of a good professional refrigerator to rationalize consumption and improve the efficiency of its operation. Thanks to their 700mm depth, the prostore cabinets perfectly fit with the rest of the Electrolux Professional range. The new prostore provides the highest net capacity in the market. Its 700mm depth fits with tables and refrigerated counters optimizing the kitchen layout. prostore guarantees lower running costs and respects the environment. Assures excellent performance and longer life thanks to the use of R290 natural refrigerant gas and Cyclopentane isolating foam. Designed for a kitchen yet perfect for a library. prostore guarantees a better working environment. Cut your electricity bill by 65% and save up to 820 euro/year*. 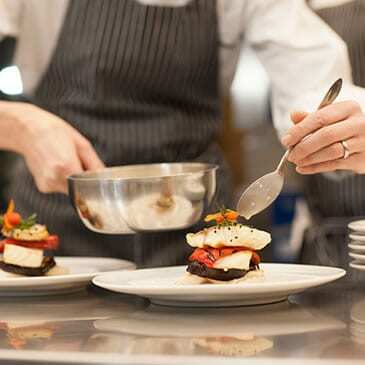 ecostore cabinets equipped with Frost Watch Control provide great advantages in kitchens with frequent door openings. They optimize defrosting avoiding sudden changes in temperature, reducing bacterial proliferation, food damage and high energy consumption. To guarantee you exceptional efficiency, our ecostore cabinets are classified according to the strictest international standards for protecting the environment and managing costs like ECA, EIA, Go’Energi and ceceditalia. Thanks to their new design, the Electrolux ecostore cabinets provide, on average, 50 litres more available space, compared to equivalent cabinets in the market. Exceptional sturdiness is guaranteed by internal and external full AISI 304 stainless steel construction.